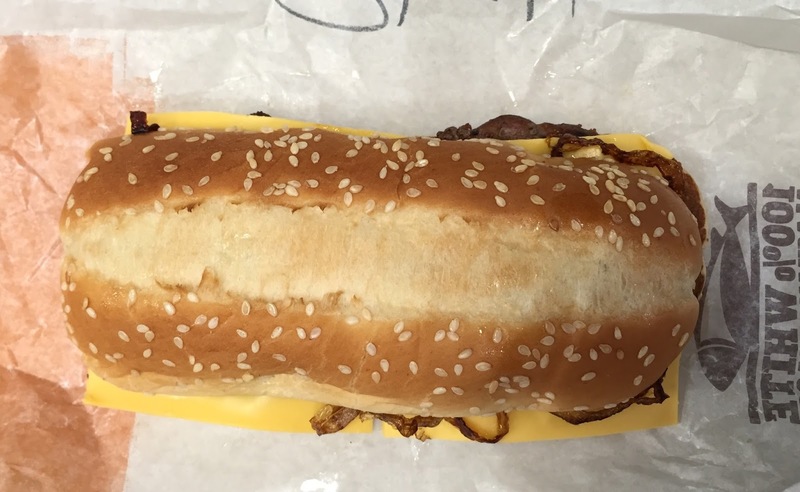 We went to Burger King to try Extra Long Philly Cheeseburger. The sandwich contains 2 beef patties, melted American cheese, fried onions and creamy cheese sauce on a toasted hoagie bun. The branch we went to didn't have it listed on the menu, but when my husband asked a cashier, she said they had. 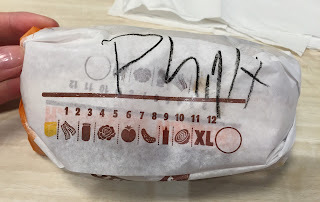 As a combo, it's 7.89 dollars before tax, and she suggested the deal "2 (sandwiches) for 5 dollars" but he declined because we didn't want 2 of these, but it's hard to believe why 2 Extra Long Philly Cheeseburger can be 5 while the combo costs over almost 8. 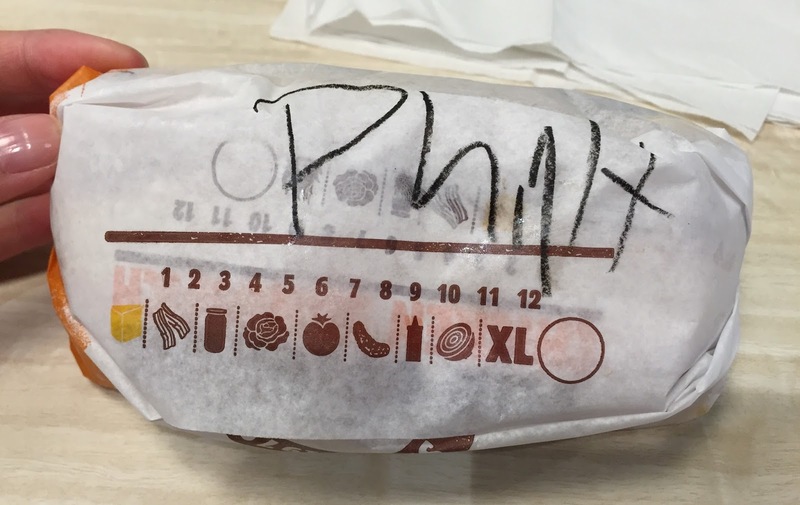 I had no idea what "Phillt" was, but it's "Philly." I saw skinny onions were sticking out, but the American cheese slices weren't melt though they described them "melted." 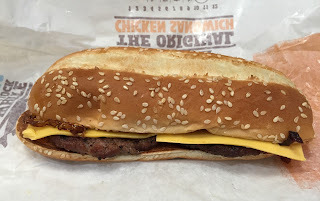 2 beef patties on a toasted bun. 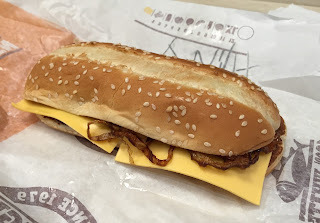 First I couldn't find the cheese sauce, but ti's on the upper side of the bun and holding the fried onions. The fried onions were ridiculously long, chewy, and burned, and I wish they had been cut shorter, crunchier, and first of all, not burned. The cheese sauce was really salty so that the entire sandwich tasted like salt and oil. It's just 2 cheeseburgers combined into one sandwich with extra salty cheese sauce with cords of burnt onions. The aspect of Philly in this product was just the cheese sauce and onions, but not anything like authentic Philly cheesesteaks.